“Melinda Mueller’s great gift is translating historical detail and scientific fact into profound human experience. Long-awaited Mary’s Dust is a tour de force, a klatch of history’s Marys speaking through a stunning array of formal constraints—much as they did in life. Each Mary emerges from Mueller’s precise and brilliant word choice and imagery to linger “with a faint ringing.” Mary’s Dust is an ambitious, awe-inspiring, marvelous collection.” — Kathleen Flenniken, author of Plume. 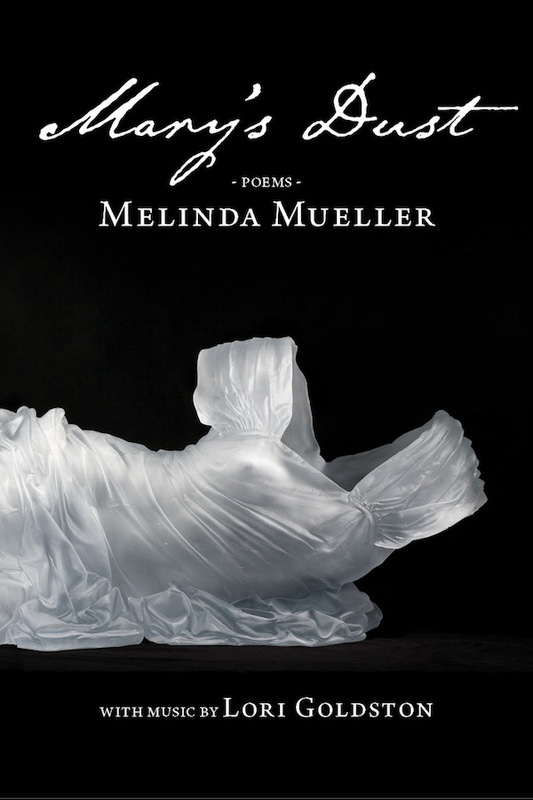 We are honored to present another new work by one of Seattle’s most intriguing writers, Melinda Mueller. Unsettling the stories of thirty-two historic Marys, the poems in Mary’s Dust startlingly reconfigure what we thought we knew about confinement and loss, liberation and love. With their variety of inventive and traditional forms, these poems offer testament to the strength of women creating their own narratives. This book includes a digital download featuring commissioned music by cellist Lori Goldston. Her response, Cello Songs for Mary’s Dust premiered at the Chapel Performance Space on February 23, 2017. Our recording is from that evening. It also includes Ms. Mueller reading over thirty minutes of selections from the book. ignites even the noonday dusk of the forest floor. she cried out: Look. The ants. They have shadows. the abyss Nietzsche warned of. And ransacks her. with torches do. Nor will she lift from it her hands.